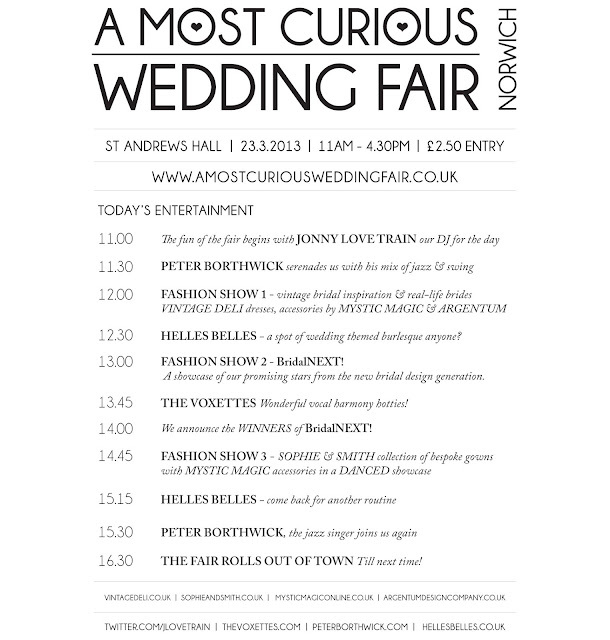 A Most Curious Wedding Fair Blog: Running order for the Norwich Most Curious Wedding Fair THIS SATURDAY! 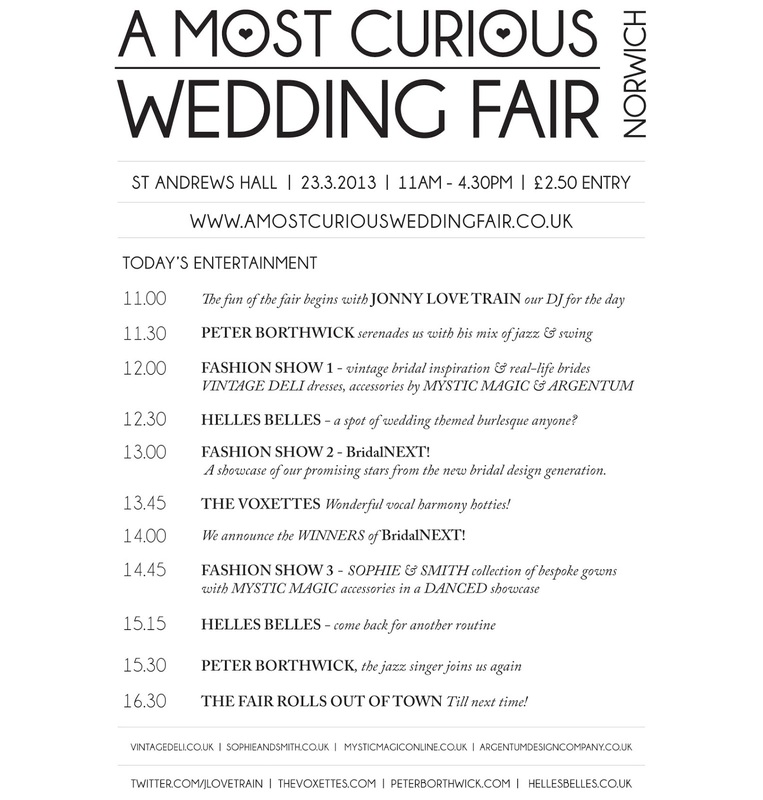 Running order for the Norwich Most Curious Wedding Fair THIS SATURDAY! 12.30 HELLES BELLES - a spot of wedding themed burlesque anyone? 13.00 FASHION SHOW 2 bridalNEXT! A showcase of our promising stars from the new bridal design generation. 13.45 THE VOXETTES Wonderful vocal harmony hotties! 14.00 -We announce the WINNERS of BridalNEXT! 16.30 THE FAIR ROLLS OUT OF TOWN Till next time!